Trump moved the U.S. Embassy in Israel to Jerusalem to promote peace. “Because nothing says ‘peace’ like 58 Palestinians killed, 2,700 wounded, renewed hostilities between Iran and Israel, the entire region aflame, and U.S. allies reeling” (— Dana Milbank). On May 14, 2018, the Trump administration officially recognized Jerusalem as the capital of Israel by redesignating a former consulate building as the United States Embassy. The change, on its surface, didn’t amount to much more than a new sign on the building and some transferred embassy staffers jockeying for window offices and claiming the better desk chairs. The change of U.S. recognition, however, complete with an in-your-face-Palestine campaign rally — I mean, ceremony — has created a conflagration with worldwide heatwaves. I don’t claim to be an expert on Israeli-Middle East affairs. They are extremely complicated. That’s why I look to the experts. Granted, there are generally experts on both sides of a given issue. For example, consider the act of putting ketchup on steak. Tempers flare over this philosophical quandary. Authorities on both sides can articulate their carefully constructed arguments, and it is hard to know who’s right. But imagine if only a few entities were arguing for the use of this hot dog condiment on an expensive cut of meat. Imagine that ketchup producers, ketchup bottle manufacturers, and a few agitators who provoke for the sake of provoking were the only ones who backed this contentious act — and the agitators were taking kickbacks from the corporations. Imagine that on the other side, virtually all steak experts, food experts, restaurant experts, and cuisine authorities with nothing to gain or lose either way agreed that ketchup on steak was just wrong. Though I imagine those experts also would agree that if one did put ketchup on a steak, it wouldn’t cause a regional war. This is the situation with Israel, Palestine, and the Middle East. All past American presidents and their foreign policy specialists who have had to deal with this issue have chosen not to recognize Jerusalem as the capital of Israel for three primary reasons: 1) Palestine also claims part of Jerusalem as its capital; 2) Israel and Palestine are not only in heated disagreement over the same claimed capital, they are involved in a half-century-or-so battle to sort out whose land is whose — Palestine wants a homeland for its long-displaced people, the so-called two-state solution; 3) the carefully planned recognition of Jerusalem as Israel’s capital was being held out as a bargaining component to draw both sides into a peace agreement. Establishing peace between these two factions, after many decades of war and other conflict, has been the Holy Grail of U.S. presidents and the United Nations. It has been the desire of peace-loving nations around the world. There was near-universal agreement to withhold American recognition of Jerusalem as Israel’s capital until a settlement was negotiated. Making this concession while Israel gives nothing in return was the wrong move. But President Trump did it, ostensibly to promote peace. The move resulted in a barbaric Israeli military assault on protesting Palestinians at their shared border. Some protesters had attempted to breach the checkpoint in objection to the U.S. Embassy relocation. The Israeli army opened live fire. They killed 58 Palestinians and injured over 2,700 in one day. Children and babies died or were hurt. The vast majority of protesters were unarmed. No Israelis were killed or injured. At a United Nations emergency Security Council meeting the next day, Nikki Haley, U.S. ambassador to the U.N., argued that Israel had “acted with restraint” and that the violence on the border was unrelated to the relocation of the U.S. Embassy to Jerusalem. Haley also averred that Punxsutawney Phil has no relationship to Groundhog Day, and the Macy’s Thanksgiving Day Parade has nothing to do with Christmas, no matter how many screaming, beaming children await the final float carrying some unknown, overweight white-bearded man in a bright red suit with white trim, black boots and a wide black belt (— writer’s embellishment). In a sign of faux toughness — and contempt for decency and gross disrespect for human life — the Trump administration has not joined the rest of the world’s call for Israeli restraint in the aftermath of their deadly force against the protesters. Donald and his administration have refused to express regret for the loss of innocent Palestinian lives. On the plus side, the U.S. has ceded American leadership in the Middle East and the world, and has forfeited any remaining status as a neutral peace broker between Israel and Palestine. 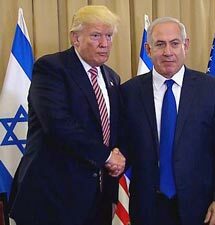 Other than Israel’s government, almost all concerned parties and American allies believe President Trump does not care about peace in the Middle East nor a two-state solution. They see he has acted out of self-interest related to United States domestic politics. President Trump makes momentous decisions for personal, often corrupt purposes, then tries to create acceptable reasons for those decisions. As outlined, Donald moved the U.S. Embassy in Israel to Jerusalem this week. His Alice-in-Wonderland explanation was to “advance peace.” The real reasons were these: 1) to promote his phony image as a provocateur who gets stuff done by disruption; 2) to keep a campaign promise he made to please his base, when he never thought he would win; 3) to distract from his Russia-corruption headlines; and 4) to pay back his ultra-pro-Israel political megadonors such as Sheldon Adelson. 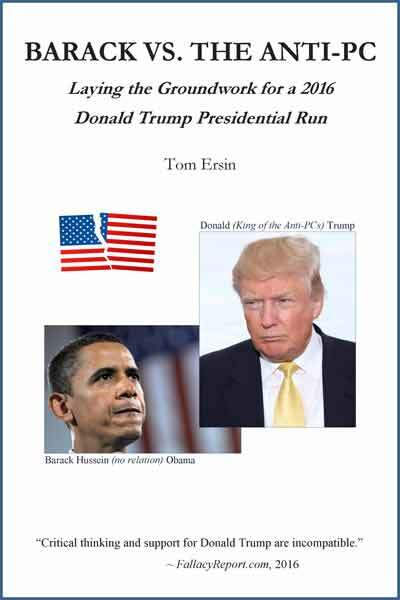 President Trump pulled out of the Iran nuclear deal last week ostensibly because it did not go far enough to keep Iran from developing nukes. The real reasons were these: 1) to promote his phony image as a provocateur who gets stuff done by disruption; 2) to keep a campaign promise he made to please his base, when he never thought he would win; 3) to distract from his Russia-corruption headlines; and 4) to repeal all Obama accomplishments — no matter how dangerous and destructive the repeal would be — simply because they have the former president’s name attached to them. President Trump agreed to a personal-meeting request from North Korean leader Kim Jong Un last month, knowing that such a meeting would dangerously elevate Kim’s status on the world stage. Donald agreed to the chat ostensibly to rid the Korean peninsula of nuclear weapons. The real reasons were these: 1) to promote his phony image as a provocateur who gets stuff done by disruption; 2) to keep a campaign promise he made to please his base, when he never thought he would win; 3) to distract from his Russia-corruption headlines; and 4) to attempt to obtain bragging rights over all the other U.S. presidents — no matter how dangerous and destructive those attempts might be. After conducting a Twitter-feud with Kim Jong Un over the past year, Donald has been praising him for agreeing to talks with South Korea and coming to the table with the U.S. Kim also made a couple of “goodwill” moves, i.e., he shut down a nuclear testing site (which he didn’t need anymore), and he returned three Korean-American hostages (whom he never should have taken in the first place). ZTE is a huge Chinese telecom company. The Trump administration penalized it in April with a $1.2 billion fine and a seven-year ban on buying American components for its products. These moves threatened to bankrupt the company. The penalties were imposed because ZTE violated U.S. sanctions against doing business with Iran and North Korea. Since then, American intelligence also has revealed that China uses ZTE products to spy on the U.S.; the company is a threat to our national security. In the past month, China has signaled its intense displeasure with these penalties and indicated they could interfere with U.S. tariff negotiations. On Monday, it was reported that China agreed — just days before Trump reversed the ZTE penalties — to contribute $500 million in loans to an Indonesian theme park featuring Trump-branded hotels and golf courses. The project was in danger of collapsing. But the Chinese loans ensure its success, therefore ensuring hundreds of millions of dollars in profit for the Trump organization.